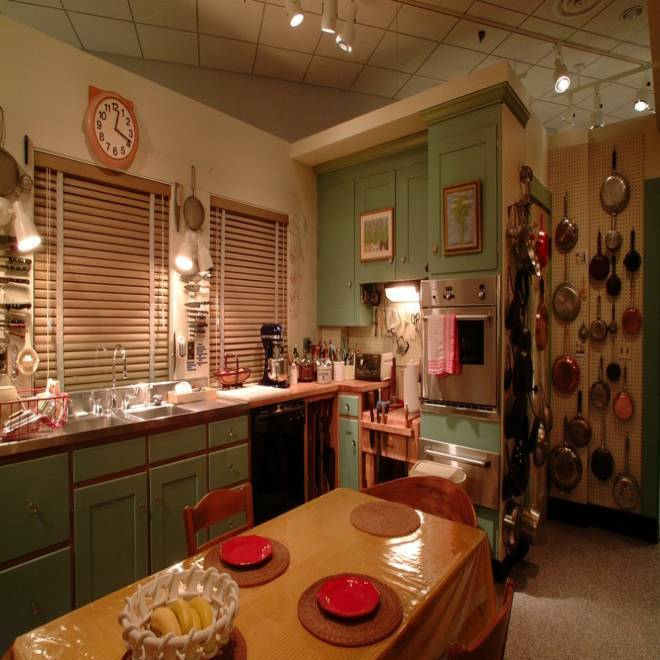 In 2001, Julia Child donated the kitchen from her Cambridge, Mass., home to the National Museum of American History. It includes the cabinets, appliances, cookbooks, kitchen table and hundreds of utensils and gadgets. Julia Child, the renowned chef, cookbook author and television personality known for introducing French cuisine to America's home kitchens, would have turned 100 this month. Inspired by the author’s highly popular French recipes, 100 restaurants — ranging from Petite Maison in Scottsdale, Ariz., to Bacchus in Milwaukee, Wis. — are participating in a Julia Child Restaurant Week that begins today and runs through Aug. 15, the date of her birth. In addition, the Smithsonian National Museum of American History in Washington, D.C., will open a new installation of Child’s kitchen from her Cambridge, Mass. home — which Child donated to the museum in 2001, three years before her death — on Aug. 15, and hold other events that day. To celebrate Child’s spirit, 100 of her most cherished recipes have been chosen by a jury of culinary luminaries — including her longtime Knopf editor, Judith Jones; food writer Amanda Hesser; and chefs Thomas Keller and Jacques Pepin, the latter a frequent TV collaborator with Child — and 15 of them will be posted online. One hundred bookstores around the country also are featuring table displays of four classic Child cookbooks. The National Museum of American History will reopen Child’s kitchen Aug. 15 through Sept. 3; it displayed the kitchen from 2002 until January of this year, and has since reinstalled it and made it more accessible to visitors as part of a new food exhibit opening in the fall. On Aug. 15 the museum will offer screenings of rarely seen episodes of “The French Chef,” as well as book signings with Spitz and other Child experts. Aug. 15, 2012 would have been Julia Child's 100th birthday. Celebrity chefs talk to TODAY.com about how she paved the way for them and influenced the way Americans cook today.